James Bond 25: New film announced - but where's Daniel Craig? The 25th official James Bond film will be released in November 2019, producers have confirmed. The currently-untitled movie will be written by Neal Purvis and Robert Wade, who worked on the last six films. 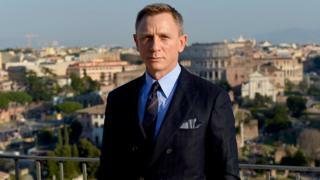 But it has not yet been announced whether Daniel Craig will return to play Bond for the fifth time. The BBC understands the actor has not yet signed a contract, but the New York Times reports his return to the role is a "done deal". Bond 25 will be released in the US on 8 November 2019, with a slightly earlier release in the UK and the rest of the world. The film is set to be produced by Michael G Wilson and Barbara Broccoli. Skyfall, Craig's third Bond film, became the highest-grossing film of all time in the UK after its release in 2012, but it has since been toppled by Star Wars: The Force Awakens.